A Fifty amid the foxgloves. 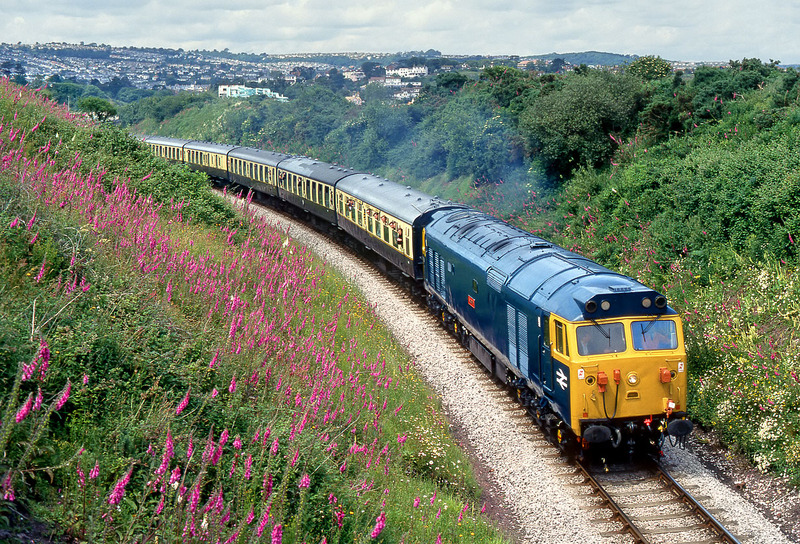 50002 Superb climbs away from Goodrington on 19 June 1993 with the 14:10 Paignton to Kingswear service, during the Paignton & Dartmouth Railway's Diesel Gala. Mid June is certainly not the best time to be taking pictures during the middle part of the day, but the flower filled cutting definitely compensates for the overhead lighting.